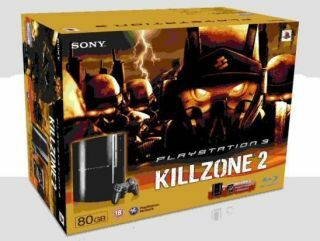 PS3/Killzone II bundle last before Easter price drop? Sony has announced that it will release a PS3/Killzone II bundle at the end of February with a price point of £299. The bundle includes an 80GB console, one dual shock controller and a copy of the game. So far, so normal, but could this be the last PS3 bundle released by Sony that costs £299? As reported by TechRadar and T3 in November, SCEE President, David Reeves, reportedly let slip at the Sony Computer Entertainment Staff Annual Briefing that price cuts for the console would happen in March 2009. We speculated that the release of Killzone II would give Sony a perfect chance to drop the price and gain as much media attention as possible, but this no longer seems to be the case. Killzone II is an important title for Sony: it has garnered plenty of buzz since the early demos were released, even though its PS2 predecessor wasn't the Halo rival the company touted it to be. Its sequel looks set to push the boundaries of what the PlayStation 3 can do, both in terms of graphics and gameplay, with Official PlayStation Magazine UK scoring it 9/10. While the title is shaping up to be a much-needed boost for the console's popularity, snipping a few tenners off the price would make the games machine even more desirable for the cash-strapped who have yet to buy a PS3.